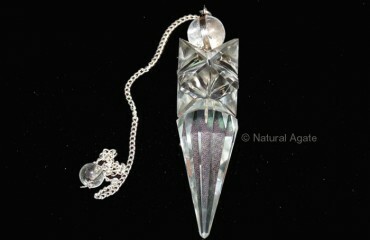 Crystal Quartz Energy Pendulum channelizes energy. You can focus the pendulum at a specific area to remove blockages. It is available on Natural Agate.